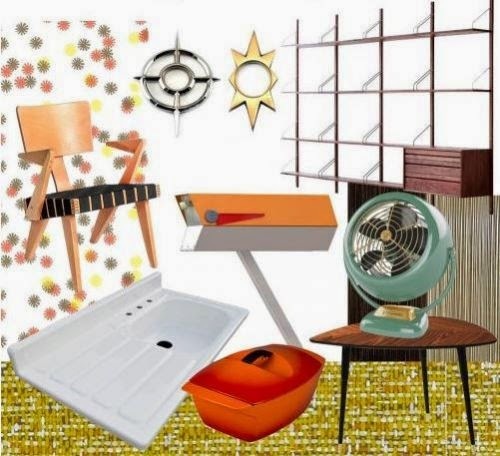 I have noticed with wry interest that things from about 1945 to 1965, or in that style, are now called "mid-century," a look that has come into vogue with those born in the '80s and '90s. They are making it their own, making it fresh --- it's clever and bright. Check out this blog site for "mid-century" renovators, for example: http://retrorenovation.com/ There's a discussion of how to make a doorbell from a rotary dial phone, where to get "atomic" shower knobs, and other useful stuff. As a mid-century person, I have a little bit of nostalgia for the period, so I have been drawn to mid-century pencils like the Sheaffer lady's pencil called the "Tuckaway." Even the term is right out of the era--remember the Hide-A-Bed and percolator? 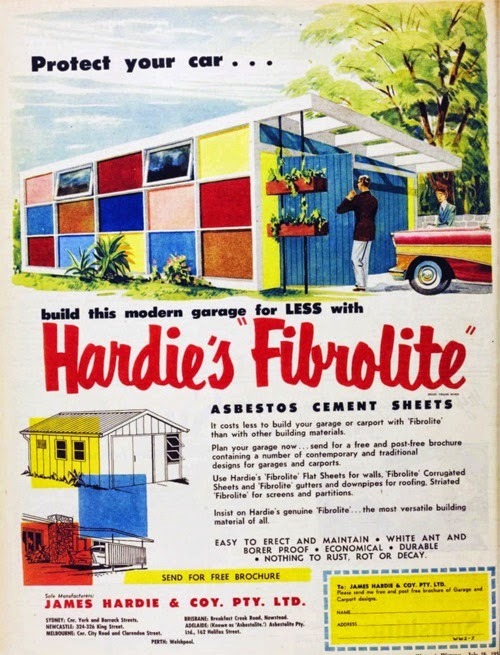 Or how about this very dubious building material, "Fibrolite?" Recently I added a third Tuckaway to my other two, and it is the earliest yet, the clip-less model with the wide center band, circa 1942. It has the shape of the Sheaffer Balance, but in a diminutive size (4") and with a cute little snub nose. Tuckaways use the newer .09 mm lead, sometimes called thin lead. They are middle-twist operated. All the Tuckaways I have picked up are personalized with the name of the owner, leading one to suspect that this was either something women really liked, or that it was offered free with the purchase of the pencil--maybe both! When Sheaffer added a clip to the Tuckaway, it also was diminutive and snub-nosed. The grey striated ones are made of celluloid, while the burgundy is made of the new post-war plastic. It has Sheaffer's "lifetime warranty" white dot. 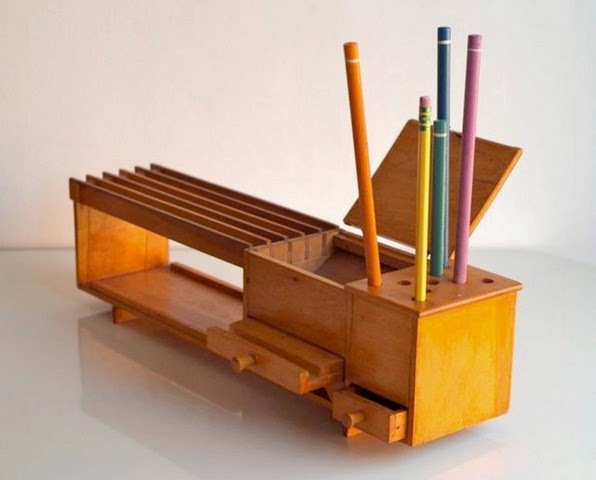 They all have handy grip for your fingers, but the later plastic pencil (bottom) had a new smaller point. With its two-tone trim, it was the "Sentinel" model, while the striped version with the narrow band is the "Lady." There is also a "Triumph Crest" model with a gold cap. I'll be keeping my eye open for one. Maybe look for a mid-century desk doo-dad, too!